The Rip Curl School of Surf has worked closely with Go Study. 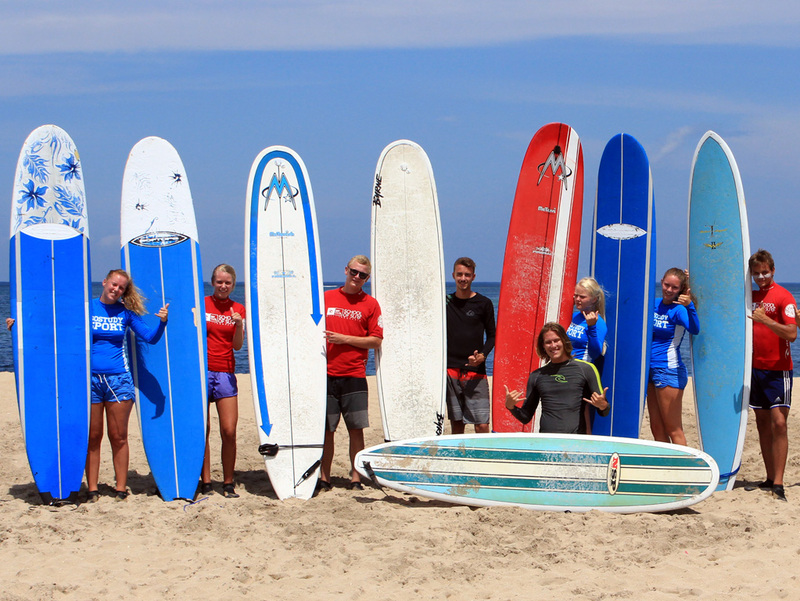 In every semester, you can experience best packages of our surf, SUP and Kite Surf program where you can improve and have fun together. Be ready for this semester to get you STOKED!!! 1st Day, Transport to the Legian or Jimbaran, student registration, change into your surf wear, 15 minutes of theory in the classroom to learn about reading conditions and understanding rips. Then its grab your boards and hit the beach for board handling, paddling, jump Up and board riding control and surfing wave after wave after wave!!!! 2nd Day, You are back in the classroom for more waves and beach knowledge before hitting the water and learning the three stage paddle (paddle out, turn & eskimo roll) and how to get out the back. 3rd Day, You are ready to learn about getting speed and turning where you learn to master for hand turns and compression and extension to generate speed!!! Session 1, student registration, change into your surf wear, 15 minutes of theory in the classroom to learn about reading conditions and understanding rips. Then its grab your boards and hit the beach for board handling, paddling, jump Up and board riding control and surfing wave after wave after wave!!!! Session 2, You are back in the classroom for more waves and beach knowledge before hitting the water and learning the three stage paddle (paddle out, turn & eskimo roll) and how to get out the back. Session 1, You are ready to learn about getting speed and turning where you learn to master for hand turns and compression and extension to generate speed!!! 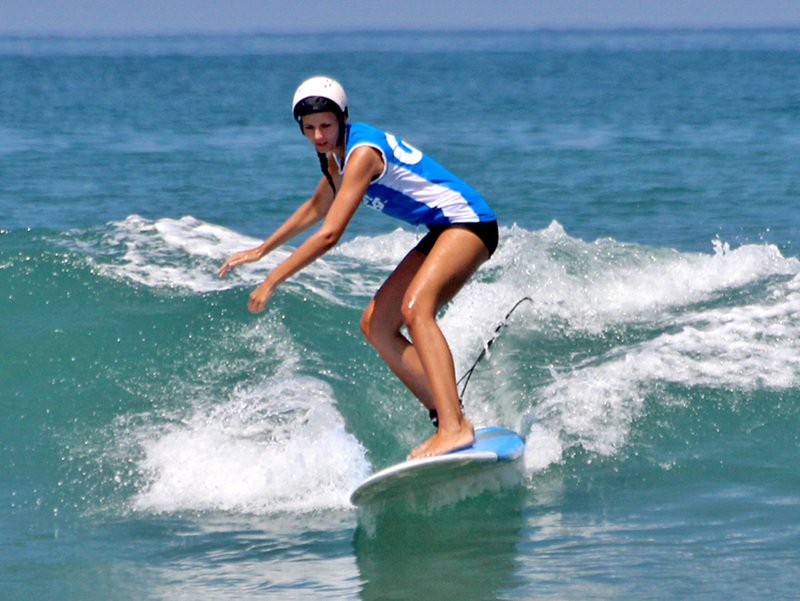 First Day, Student registration, change into your surf wear, Hit the water – Board handling in flat water, reading ocean conditions, the switch foot turn, paddling into waves, surfing stance and riding small waves. 3km downwind paddle. 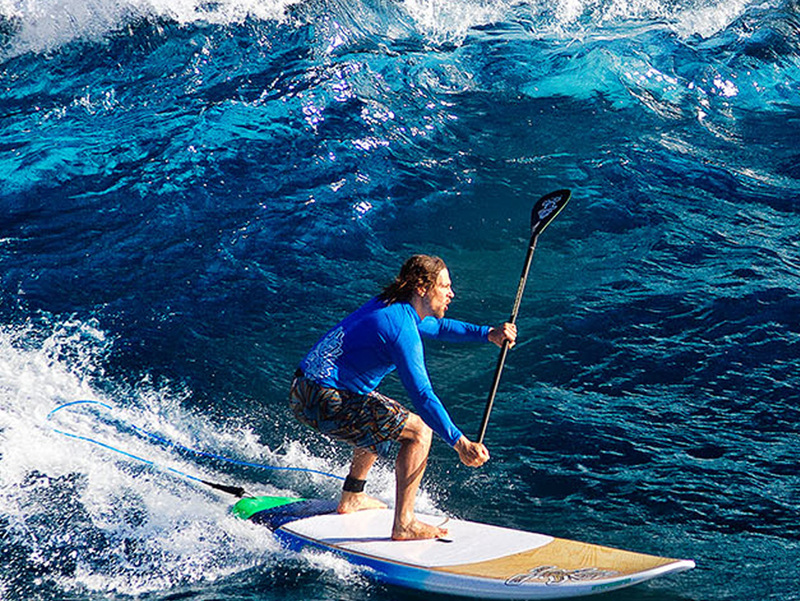 After Lunch, Mastering SUP surfing – Paddling techniques for catching larger waves, forehand and back hand turns, transitional, wiping out in waves and paddle out through large waves. Second Day, It is Paddle Power time! Learn Paddle Turns forehand, Paddle turns backhand, generating speed of the paddle, Mastering the rips and start surfing the reefs. First Day, Pick up transport to Sanur, student registration- Learn about equipment, wind and ocean condition (2 hrs)– Equipment understanding, equipment set up, knowing the kiting environment, trainer kite flying, landing and launching the kite surf from the beach. After Lunch, Body dragging (1.5 hrs) – Fully kitted in the water learn; water launches, downwind an upwind flying, board recovery techniques, using the power bar and finally launching onto the board from the water. 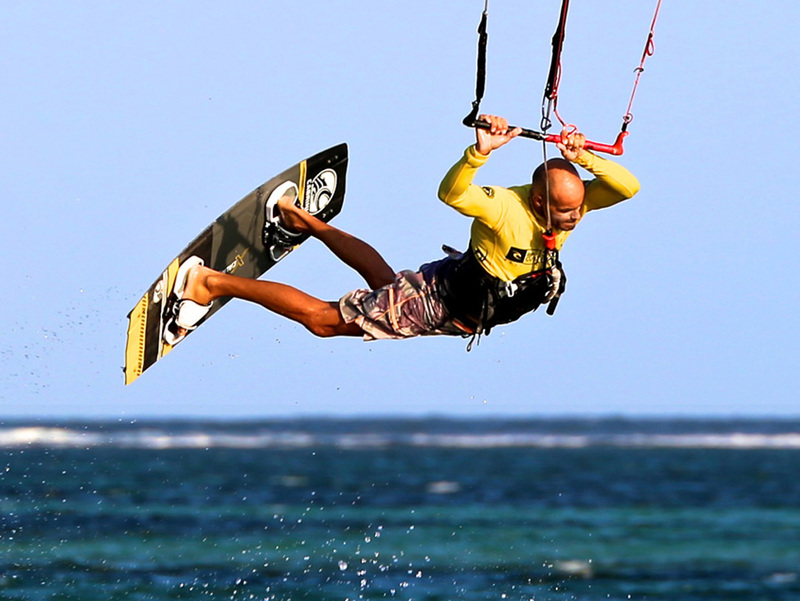 Second Day, Pick up transport to Sanur, change into your kite surf wear – Board riding skills (1 hr) – Board riding skills utilizing our wakeboard boat, kite board, kite harness and kite bar’n line system. Learning the correct body positioning & edging the board for upwind riding plus turning. The price IDR 3,250,000 for 3 IKO courses and 1 session board riding skill. *Per kite program there will be maximum of 4 kite surfer in each group and 1 instructor to 2 students on the water. The Rip Curl School of Surf offers a special package consists of 4 surfing courses in Legian or Sanur and a full-day surf trip to Nusa Lembongan (Lembongan Trip). Lembongan Trip is a full day adventure where you get to explore and surf together with a few friends and our experienced instructors as guides. We leave early in the morning and travel up with Fast Boat to Nusa Lembongan Island. Do some surfing, snorkeling, SUP-ing or kayaking in Nusa Lembongan and comeback to Sanur in the late afternoon. This Special Package Surf Lesson and Lembongan Trip (4 surfing courses + a full-day Lembongan Trip) costs IDR 3,500,000 includes transport, lunch and all necessary equipment. For a single Lembongan Trip alone, costs IDR 1,300,000. This program requires a minimum of 7 students to attend. Prior experience is strongly recommended and it is suggested you to have at least completed one of our surf programs prior to booking. COMBO: Select more than one program and receive an additional 10% of the price of the second and or third course program. ADDITIONAL PROGRAM: To sign up for the additional surf programs you can decide after the completion of your surf program. All students will receive a 25% discount on additional surf courses and free board rental from Legain and Sanur for the time you are here in Bali. Get also 15% discount of merchandiser at Rip Curl School of Surf.